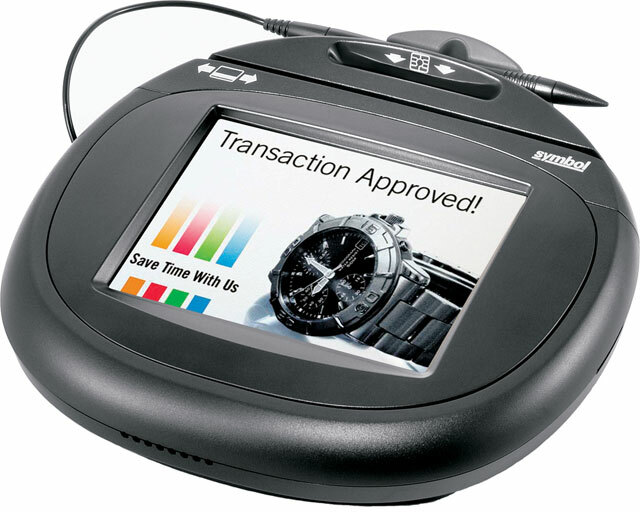 Engineered to speed your customers through the checkout, the Symbol PD8705's bi-directional, dual-head, 3-track magnetic stripe reader (MSR) and dedicated MSR processor ensure fast, accurate transaction processing, regardless of which way the card is swiped. The combination of advanced communications options, including RS-232, non-powered and powered USB, and Ethernet, and Intel XScale 32-bit processor enable rapid data transmission. To ensure the utmost data security, the PD8705 employs an advanced standards-based POS Public Key Encryption, which uses the RSA algorithm to protect against unauthorized applications and PIN compromise attacks.